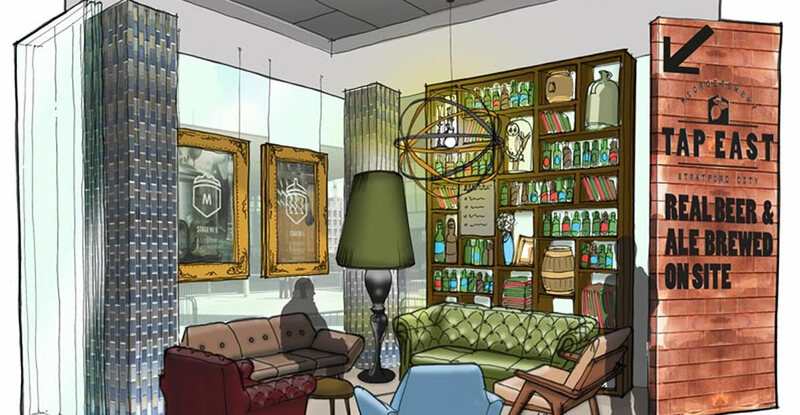 Due to the success of their little pub ‘The Rake’ within Borough Market, which offers only crafted beers, Utobeer were keen to find larger premises to house a bigger bar and their own microbrewery. 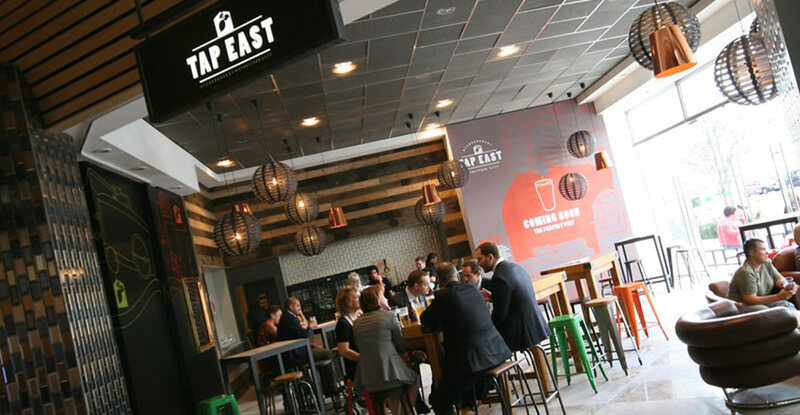 They were offered a space within Westfield Stratford City, where Tap East became a reality. 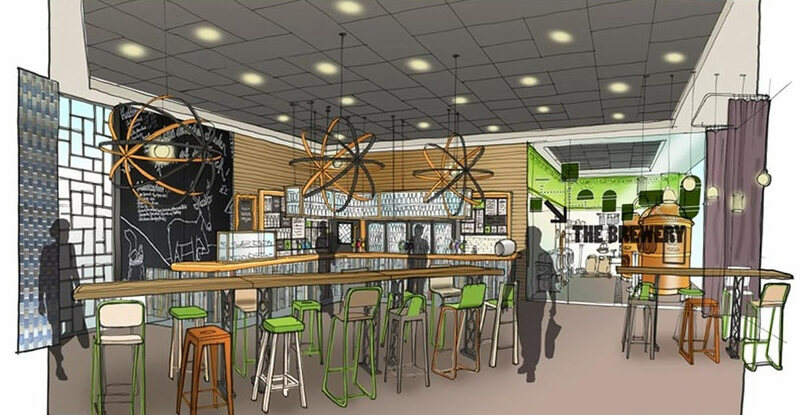 A very popular watering hole for shoppers and beer aficionados alike, the specialist beer bar and microbrewery is located opposite Stratford International station in “The Great Eastern Market” at Westfield Stratford. 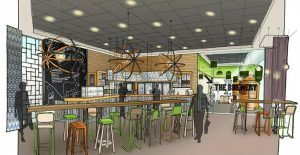 The Yard Creative were appointed and designed a contemporary, warm eclectic aesthetic in the bar and seating area. 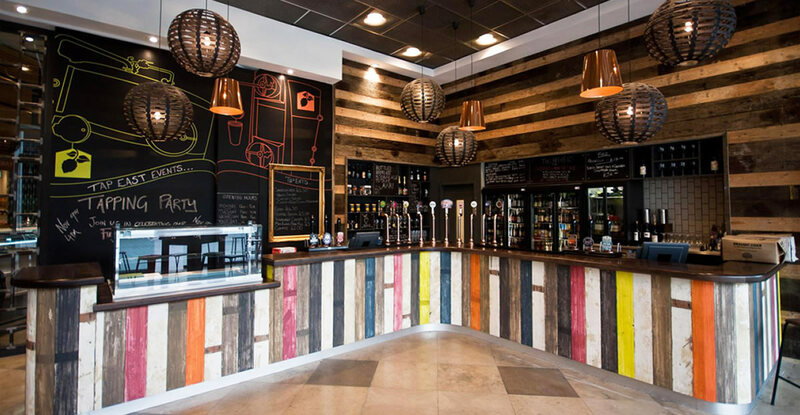 We utilised our specialist joinery manufacturing facility to create feature areas within the microbrewery. Reclaimed rich timber cladding was used on the walls, bar frontage and the back bar bulkhead and the blackboard painted menu boards the gold ornate frames and transparent canvases added an eccentric twist. 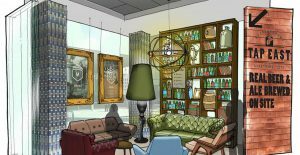 The ‘snug’ area within the bar contains a 10 ft high bookcase/display unit which combined with the reclaimed furniture ads a real homely feel to the space.